Over the past few weeks, we’ve seen quite a few images from the Hawaii set of Marvel and ABC’s Inhumans find their way online, providing fans with first glimpses of several of the main characters we’ll be meeting when the series kicks off this September. Though the likes of Black Bolt, Medusa and Gorgon did somewhat resemble their comic book counterparts in terms of costume colors, many took issue with how… well, how human most of them looked. As it turns out, though, there might well be a reasonable explanation for this. ABC has released a brief, but revealing new plot synopsis for the show, which makes it very clear that Black Bolt and the other members of the Royal Family will be relocating to earth almost immediately after the pilot gets underway. This most likely explains why the characters are garbed in more civilian-looking attire in the photos. 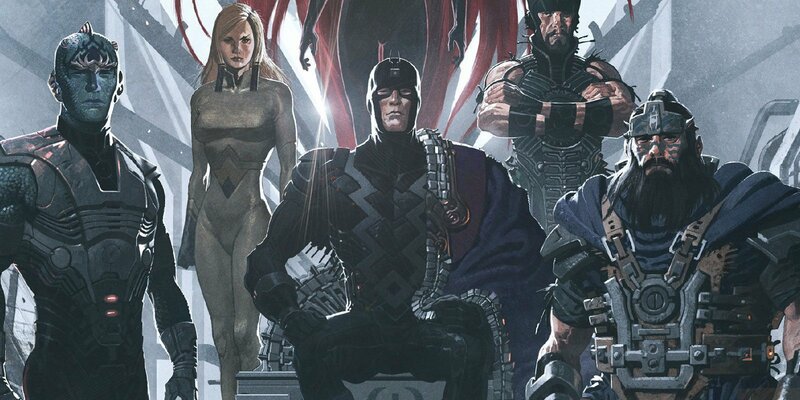 From the sounds of this, Maximus the Mad will overthrow his brother’s rule early on in the season (perhaps even the very first episode), leaving us with a fish-out-of-water type setup as Black Bolt and his compatriots attempt to blend in to their new earthly environment, with the ultimate goal being to reclaim the throne of Attilan. Though some may take issue with how much time will almost certainly be spent on earth, this premise is completely faithful to Paul Jenkins’ run in the comics. The pilot episode of Marvel’s Inhumans will first be released into IMAX theaters on September 1st, where it’ll stay for two weeks before premiering on ABC later in the month to begin its eight-episode run.